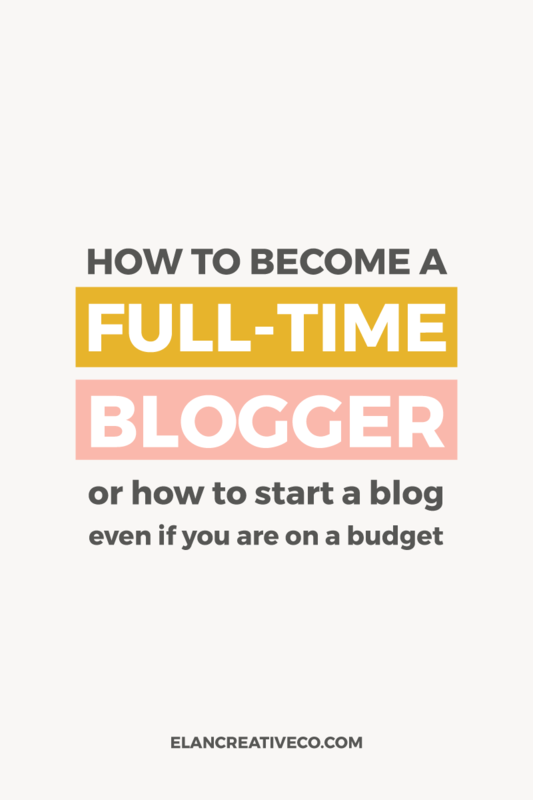 How to become a full-time blogger ~ Elan Creative Co.
Do you want to become a full-time blogger? Do you want to quit your day job and start a creative business? This is such an exciting journey, but it can also be very scary. And for many people, the scariest part is the technical aspect of it. Building a blog or a website can be an expensive and time-consuming part of becoming a full-time blogger, or it can be a simple and fun, though still a bit time-consuming, experience. If you want to start a blog or a website for your creative business, you can hire a designer and/or a developer or you can do it yourself. DIY-ing your blog or website might sound a bit overwhelming, but you can easily do it if you are on a budget. And you don’t have to be a tech wizard to build a great website. Disclaimer: This post contains affiliate links. That means I get a small commission if you decide to make a purchase using my affiliate link. However, I love and use these websites and apps, and I wouldn’t recommend them if I didn’t find them helpful. There are so many things you need to do if you want to become a full-time blogger, that finding the right name doesn’t seem that important. But trust me, it’s one of the first things you should do. There’s nothing worse than planning your new blog or creative business around your perfect domain name, then finding out that it’s already taken. Spend some time searching for the right domain name and make sure the social media handles are also available. You don’t have to worry about finding the perfect name for your brand. You can always change it later. Just make sure you don’t change it too many times. You can always get a free domain name with your hosting plan, but I suggest using NameCheap or Google Domains to purchase a name for your blog. There are many blogging platforms and website builders that you can choose from and WordPress is the most popular one. Self-hosted WordPress is also my favorite blogging platform because it’s highly customizable and you can find so many great themes and plugins for it. Make sure you don’t confuse self-hosted WordPress with the free blogging platform that’s wordpress.com. The .com version is great if you want to start a personal blog, but you won’t be able to monetize it. Another great choice, especially if you want to build a website, is Squarespace. It’s easy to use and there are many beautiful themes that you can choose from. If you are using self-hosted WordPress, you will need a website host. WordPress itself is free, but hosting your blog will cost and finding the cheapest host is not something you should do. A good host will help you build a fast and secure website, and it will also help you get rid of spam. I wrote a long post about finding the best host for your blog, so I won’t write more about that but I have a few recommendations. My favorite hosts are Siteground and Flywheel. I use Siteground‘s GoGeek plan for my websites and I’m very happy with it. Flywheel is another host I love and recommend to everyone, but it’s a little bit more expensive. Although it’s worth every penny because using their managed WordPress plan means you don’t have to worry about the technical parts of owning a blog and their support is really great. This is my favorite part of building a new website. I love designing and developing WordPress blogs. But if you are not a designer, you can still find many great themes that are perfect for your blog. 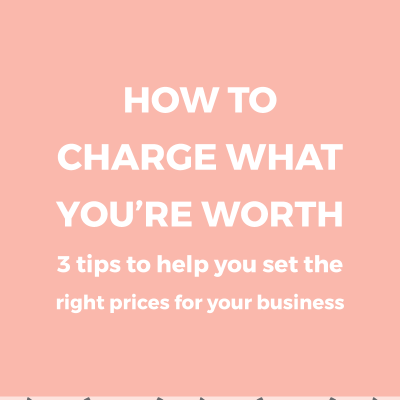 Using a premade theme is more affordable than hiring a designer and developer (yes, you might need both) and I believe it’s the perfect solution for a new blogger or business owner. I love using the Genesis Framework to build blogs and my website is also built on Genesis. Genesis is a very powerful blog theme that’s fast and easy to customize. You can also choose from hundreds of child themes that are built for Genesis. You can find Genesis child themes on the Studiopress website or on Creative Market. Even if you don’t want to use Genesis, you can still go to Creative Market to shop for the perfect theme for your blog. Just make sure to read the theme description, visit the demo site, and take a look at the reviews. The easiest way to create a beautiful brand is by hiring a designer. If you can’t afford it, you can DIY your logo and social media images. Creative Market has many beautiful fonts and logo kits that will help you design a beautiful logo. This is not an ideal solution, but you can use them until you can save some money and hire a designer. The most important thing when DIY-ing your logo is to choose fonts and graphics that are simple and timeless. Avoid using trendy fonts that will look outdated in a few months and go for simple hand-written fonts or even serif fonts. Building your social media following is also very important and using beautiful blog post and social media images will help you a lot. If you don’t know how to make your own templates, you can use premade social media templates. I have a few Photoshop templates in my shop and you can find many beautiful social media kits on Creative Market. Make sure you optimize your images before you upload them to your blog. Large images will slow down your site and might make you lose readers. Photos can make or break your blog. Beautiful photos will make your blog and social media stand out, while bad photos might ruin a good blog. If you don’t know how to take your own photos, there are many places where you can find free and affordable photos, and you can also browse Creative Market for great photos that are perfect for bloggers and new business owners. If you want to do something different, you can use patterns and icons instead of photos. This is often overlooked, but if you want to become a full-time blogger or a creative business owner, you need an email address with your own domain name. Don’t use your free Gmail account to send emails to your potential clients or to contact brands. 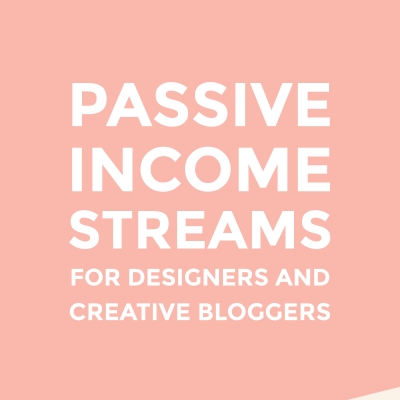 This will only make you seem like an amateur and might lower your chances of making a full-time income from your blog. I love Gmail, so I have a G Suite subscription. This will also give you access to Google Drive (you might need it to back up your blog), Docs, and Calendar for business. If you are on a budget, some hosts also offer an email inbox with your hosting plan. When you start a blog, you are tempted to write about everything. I know how that feels, but if you really want to build a profitable blog, you need to find a niche. Write about something you are passionate about. With time, you might find other things that interest you and you might change your niche, but it’s really important to write about topics that your audience also loves. Okay, so you built a blog, you’ve added some ads and affiliate links, but no one is purchasing anything. It happens to many new bloggers. We are led to believe that having a blog is easy. You just have to set it up and you will make thousands of dollars in the first month. The truth is a little bit different. You have to focus on building a loyal audience before you can make money from your blog. You can do that by writing valuable blog posts, building an email list, interacting with your followers on social media, offering freebies and advice. You don’t need a large audience to make a living out of your blog, but you need readers that trust you and it might take some time and hard work to build that audience. One of the easiest ways to monetize your blog is by using affiliate links. If there are products you love and find yourself writing about them all the time, you should find out if they have an affiliate program. You can also talk to your hosting provider or find out if your WordPress theme designer has affiliates. 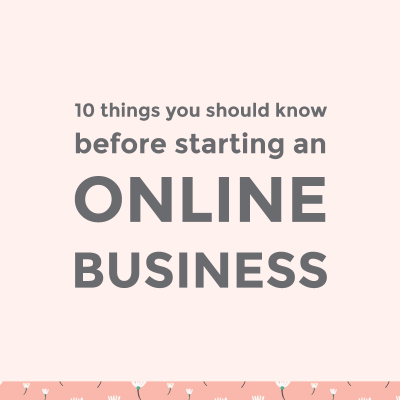 You can also monetize your blog by creating online courses and digital products. This takes more time, and you need to make sure that your products will help your audience, but you will probably earn more from digital product sales. I’m not a fan of ads. 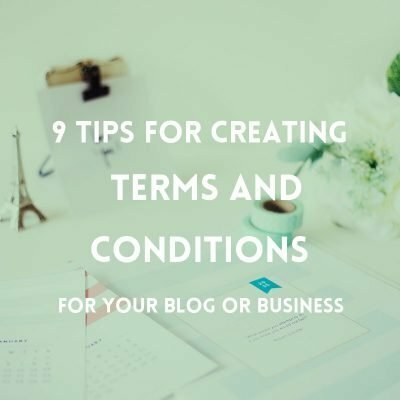 They don’t always look great and they will make your blog slow and cluttered, but they are also an easy way to monetize your blog. If you decide to use ads, you should have a large audience. You can also reach out to your favorite brands. Many bloggers make a good income from sponsored posts. And when your blog grows, you will be contacted by many businesses that want to advertise on your blog. Do you want to become a full-time blogger? Or do you already have a blog? What are your favorite tips and apps for beginners? Starting a blog has become so much easier now with the help of these affordable web hosting and one-click installers.